Alpine is on a mission to create connected communities and we want your help! 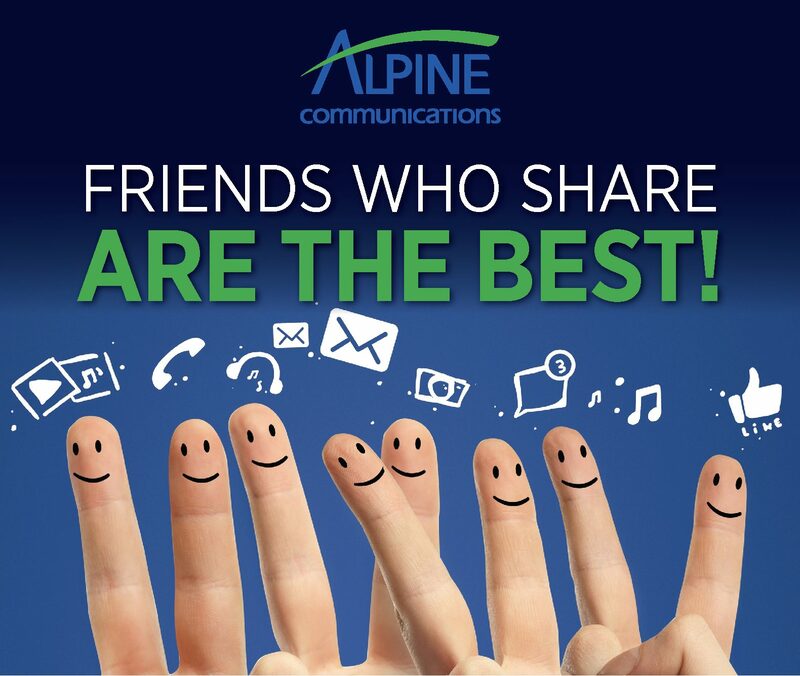 Do you have a friend, family member, or neighbor who doesn’t have Alpine services? Refer them to Alpine Communications for internet, FusionTV, phone, or monitored security and once they sign up, you get a $50 credit on your account. Invite your circle to experience the Alpine difference. We promise personal, timely, reliable service from people who live here. There’s no limit, the more friends and family you refer, the more you earn! *Referral must be a new Alpine Communications telephone, internet, FusionTV, or monitored security customer, with no active services in the past 6 months. No limit to the number of credits. One-time credit(s) will be applied after 90 days.